The move comes after Parks Canada released a herd of bison to roam free in the Panther Valley area and days after two male bison wandered away from the park. Alberta's minister of environment and parks has signed an order that will protect bison on public lands immediately adjacent to Banff National Park. "I signed a ministerial order today that protects, under law, bison that may wander out of the Banff National Park as part of the reintroduction program," said Alberta Environment Minister Shannon Phillips. "It protects them under law from harvest by hunters while roaming on any public land that is under the Government of Alberta's jurisdiction." 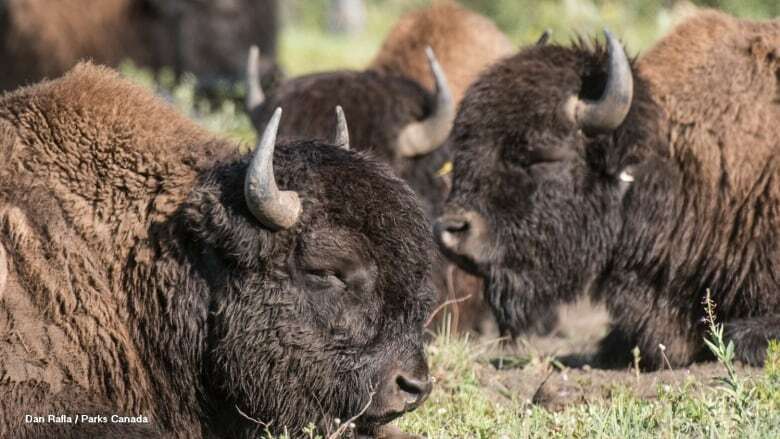 The move comes weeks after Parks Canada released a herd of bison to roam free in the Panther Valley area and days after two male bison wandered away from the park. One of those bison was killed and the other was airlifted to a paddock in Waterton Lakes National Park. Phillips said the ministerial order she signed on Tuesday had nothing to do with the wandering bulls. "I had been working to get this ministerial order in place as a result of the reintroduction of bison to Banff and them getting out to graze. We were just a little behind the release of the bison, but we had planned to do it regardless." It will now be illegal for hunters to target the animals in what's being called the Upper Red Deer River Special Bison Area, which encompasses the Ya Ha Tinda Ranch. Phillips said bison can still be euthanized if they pose a risk or can't be returned to the herd and that this ministerial order only applied to the general public. "If there's a management reason, then those measures can always be taken under the Wildlife Act, for any problem wildlife, with the appropriate sign off." A committee is reviewing the status of bison in Alberta, and Phillips said it could conclude the animals should be protected provincewide.